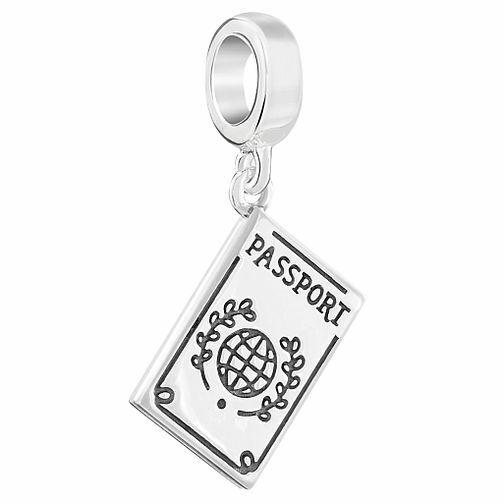 A beautifully crafted sterling silver passport charm. Discover all the ways to express yourself with one of a kind jewellery that reflects your life and experience. Inspired by your personal sense of style, Chamilia jewellery is as unique as you are. Chamilia Sterling Silver Passport Charm is rated 5.0 out of 5 by 1. Rated 5 out of 5 by Anonymous from Shiny delight We were delighted with the passport charm. It looks fabulous alongside the globe and aeroplane charm. Great for all those who love to go travelling and enjoy having reminders of wonderful holidays.